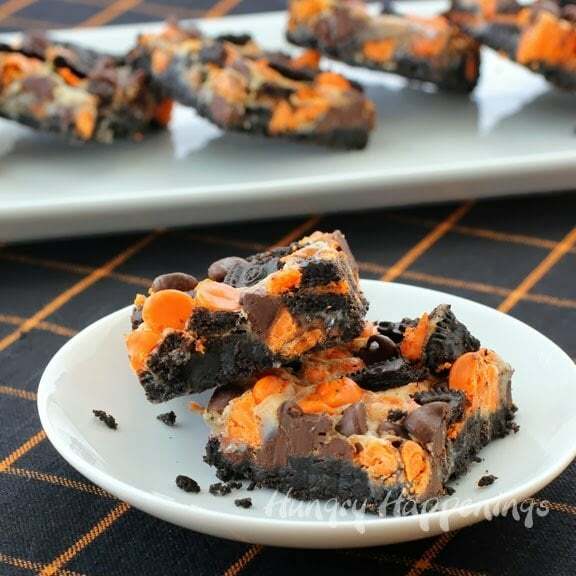 Here are some great cookie bar recipes you can make for your Halloween party. Decorated with the seasons's colors and sweets, it will surely be enjoyed by kids and kids at heart! Want more time mingling with your guests and less time cleaning up in the kitchen? Invest in good quality silicone baking mats and cut your clean up time in half! "The magic, I found, happens when the heat from the oven caramelizes the creamy milk. It glues everything together in one crunchy, chewy, chocolaty bar." "They're super easy to make and utilize a biscuit mix instead of flour.Anytime my kids have a school party or need to carry a sweet treat somewhere this is always my go to recipe." 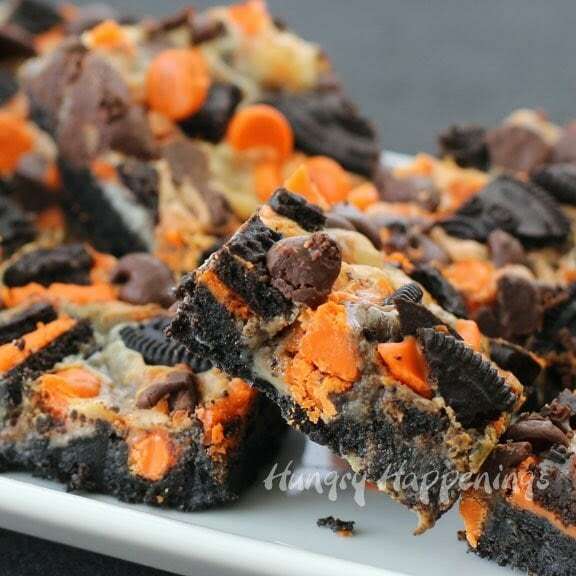 "Perfectly soft, festive black and orange Halloween Oreo Cake Bars! 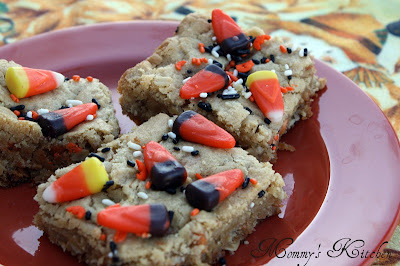 They are so good and make a great Halloween party treat!"